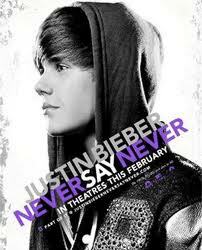 I really can't believe there is a movie about Justin Bieber. I mean come on, this has to be a really boring Doc about this kid. I am so tired of hearing about him. He may be an amazing singer and performer but how amazing could this movie really be? Comment below If are not going/going to see this movie.